“It’s a process not an event,” said Isett, explaining that his bill is constructed from the Sunset Advisory Commission report on TxDoT. Isett, who chairs the commission, said he did not agree with all of the commission’s recommendations for overhauling TxDoT. Nevertheless, he is confident HB 300 will be worked on during the committee process so that legislation can be passed this session to make TxDoT a “world class” agency. The key to this may indeed have nothing to do with the amount of people sitting on the TTC. State Rep. Joe Pickett,D-El Paso, who chairs the House Transportation Committee, said that by tweaking formula funding so that transportation dollars (and therefore decision-making power) were concentrated more locally, many of the problems associated with TxDoT would become “moot.” HB 300, as written, would make such changes to formula funding, said Isett. Read the bill here. Check the NPT Homepage tomorrow around lunch time for a fuller write up. Read on after the jump to see what else HB 300 would do. Hialeah Fire Chief Otto Drozd became boss at a time the department was plagued by low morale, budget woes, a revolving door of chiefs and firefighters — and still reeling from a bitter dispute over manpower between some personnel and city officials. Drozd is now leaving his post amid similar worries and in a contract negotiation year that is sure to be a tough one because of the city’s declining tax revenues, primarily due to the drop in property values, rise in foreclosures and voter-approved tax cuts. Drozd resigned to become chief of the much larger and growing El Paso Fire Department in Texas, which has 34 stations compared to Hialeah’s eight. TxDoT is having a rough day. A bunch of bills regarding TxDoT are being heard today in the House Committee of Transportation. A fair few of them call for TxDoT to be abolished all together. Testimony has been heard from citizens from all across the state, people are wearing anti-toll and anti-TTC t-shirts and every now and then almost everyone seems to applause when someone says anything remotely construed as TxDoT bashing. State Rep. Yvonne Davis just asked a great question to state Rep. Carl Isett who chairs the Sunset Advisory Commission and is giving testimony over TxDoT’s sunset bill HB 300, which he authored. The bill calls for a complete overhaul of TxDoT including making sure it is brought under legislative oversight, increases transparency and drives decision-making local. It’s TxDoT, but not as we know it! 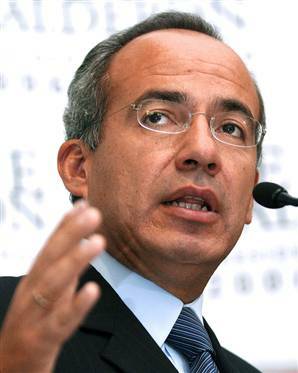 “There is trafficking in Mexico because there is corruption in Mexico,” Mexican President Felipe Calderon told the BBC. Jose D. Riojas, began his military career after graduating from the U.S. Military Academy at West Point as a second lieutenant in the Field Artillery in 1976. He is also a 1997 graduate of the U.S. Army War College completing studies in National Security Strategy. His 30 year military career encompassed numerous and significant operational assignments throughout the world to include, Korea, Germany and Southwest Asia (Operations Desert Shield and Desert Storm). His assignments include: service with the U.S. Department of State, service as the Army’s representative on the Joint Requirements Oversight Panel, and Executive Officer to the Chief of Staff of the Army. He served in 5 different Army Divisions: the 2nd Infantry, 7th Infantry (Light), 2nd Armored, 25th Infantry (Light), and the 3rd Infantry (Mechanized). NPT Drug War: Slain Juarez journalist honored in D.C.
WASHINGTON (AP) — The journalism and free speech museum called the Newseum added 77 names to its Journalists Memorial on Monday to honor reporters, photographers and broadcasters who died while covering the news, including several killed in Mexican drug violence. Mexico ranked second only to Iraq among the deadliest places for journalists last year, said Alberto Ibarguen, the Newseum’s chairman, and president and CEO of the John S. and James L. Knight Foundation. The names of five journalists killed in Mexico were added to the memorial wall, along with 13 who were killed in Iraq in 2008. Among the fallen journalists in Mexico was Armando Rodriguez, a crime reporter for El Diario in Ciudad Juarez who had covered the violent city across the border from El Paso, Texas, for 10 years. CIUDAD JUÁREZ — A simple, unpaved road running along New Mexico’s southern border is generating excitement among state officials eager to see more commercial development in the Santa Teresa area of Doña Ana County. 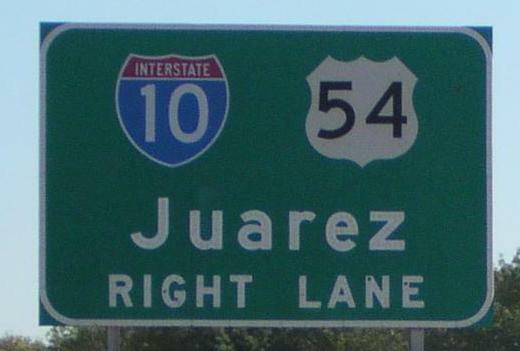 For the first time, the Mexican-built, seven-mile-long stretch of road provides a direct link between Ciudad Juárez’s west side and the Santa Teresa port of entry on the New Mexico side of the border.